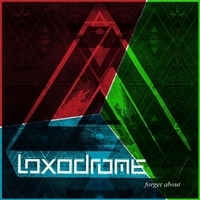 Loxodrome has made 6 albums until now, and in the beginning of 2013 came another very small release from the Austrian band. Their seventh album is only holding 4 songs, not enough to make a good impression as the songs are tame and standard hard rock without ability to make a solid statement for themselves. Their new album is titled Forget About, and only the title song Forget About has quality enough to make the interest stay tuned on them, it's in their typical hard rock party music where the songwriting knots the rope a little tighter than the 3 other songs here. The other songs are: In The Rain, The Liar, Sea Of Dust. Let's get another album from Loxodrome where they take it a little more seriously and get some good songs prepared, then it will be worth listening to.